The Razer Phone 2 does not have a CDMA radio, which Verizon phones still use as a backup for voice and 3G data when LTE isn’t available. It’s possible to run a device entirely on LTE with VoLTE calls, but Verizon needs to certify the phone. Verizon’s LTE network is larger and more robust than the 3G network, so you’re not losing anything by skipping the CDMA bands. That is assuming, of course, you can get the phone working. 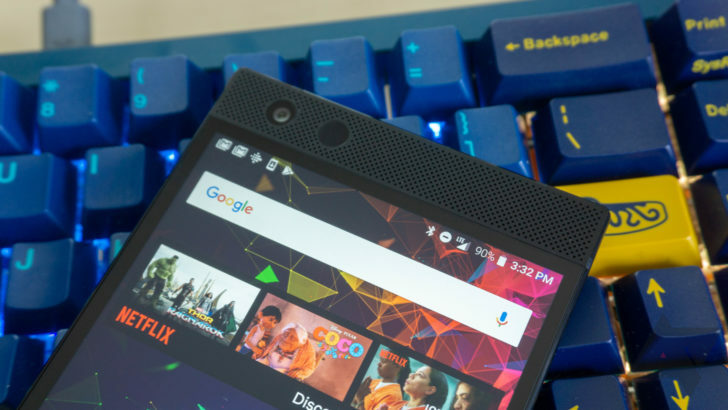 Currently, the Razer Phone 2 works with a Verizon SIM card for data, but not for long. Leave the phone sitting for a few minutes, and it disconnects. Attempting to place a call kills the network connection immediately. Still, it is capable of connecting. If Razer gets things worked out, you should be able to activate the phone on Verizon or just drop your already activated SIM card in.